1. Towels/blankets/beds are one of the top-used items at shelters. Towels tend to be one of the most useful items because they can be used for a variety of things: bedding, padding in carriers, cleaning up messes, drying off an animal, etc. 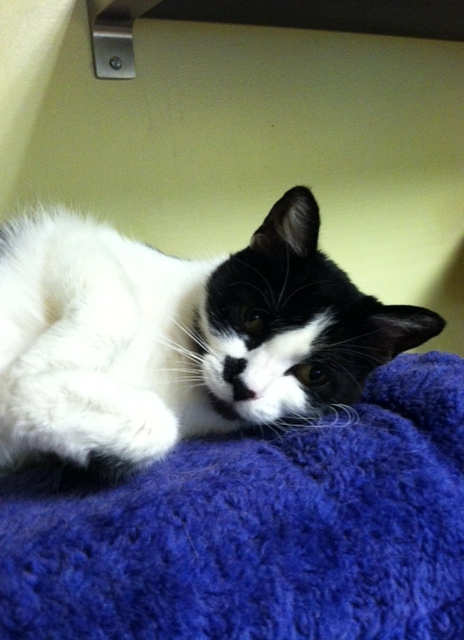 It’s great to donate gently used towels or blankets (or even pet beds) to your local shelter. Keep in mind, though, that animal shelters house stressed-out animals that might urinate, defecate, vomit on, or tear to shreds their bedding. So you shouldn’t shell out money for brand new items, or spend hours sewing anything together*. On the other hand, keep to the general rule that if you wouldn’t use it yourself or for your own pet, there’s a good chance that neither will the animal shelter. Stained pillows, blankets with holes, dog beds with stuffing falling out, are all items that may not be usable by the shelter. Items that need special washing or drying techniques are also not great items to donate, as most things get thrown into a standard or commercial grade washer and dryer, often with a good heap of bleach. *Smaller rescues, especially foster-home based rescues, would probably be better recipients of home-made items than large shelters. 2. Unopened food/treats – many shelters have deals with pet food companies (such as Natural Balance or Science Diet) and get their food donated already. Check with your local shelter to see if this is the case, and if so, what brand they use. Typically, food must be unopened in order to be accepted, for safety reasons. Even if a shelter uses a specific brand, they are often accept prescription diets (which are expensive) or cans of cat food that don’t fit their current brand. (Shelter cats will sometimes decide not to eat, in which case the shelter will often tempt the cat with as many varieties as possible.) Smaller shelters and rescues might be even less picky, and accept any type of food, as long as it hasn’t been opened. It’s always good to ask first! And if you’re looking for a place that will accept opened bags of dry food, check with a local organization that helps feral cats. 3. Laundry detergent – to keep up with daily cleaning, most shelters have to run their washers and dryers 24/7. Some larger shelters have commercial-sized machines that still barely keep up with the demand. But particularly for any shelter that does not have commercial machines, laundry detergent is always needed. Just be sure to ask if there are any specifications required, such as needing to be high efficiency compatible. 4. Hand sanitizer/paper towels – keep the shelters nice and clean. Paper towels can be used for spot cleaning or as a bathroom necessity, and the empty rolls can be used as cheap toys for kittens. Hand sanitizer is used by staff, volunteers, and the public to disinfect hands between handling different animals. Germs can be spread very easily, particularly among kittens, which is why it’s important to have sanitizer at the ready! 5. Crates/carriers – for every transportation need. While this is a pretty obvious number to the list, it’s amazing how most shelters can never collect too many pet carriers. Between general wear and tear, lending out crates that are never returned, and giving some away to desperate pet owners in need, most shelters always need more crates and carriers. 6. Toys – to keep the animals entertained while they wait for their new homes! As with blankets and beds, follow the rule that if you wouldn’t give it to your own pet, the shelter probably can’t use it. Used bones can’t be sanitized, and chew toys already chewed to bits can pose a hazard. Similarly, cat trees and scratchers can be difficult to sanitize, so check with your shelter about whether or not they can accept them. This is isn’t to say that toys have to be brand new (although that’s always nice! ), but consider donating the toys that your own pet decided he didn’t like, instead of the ones he loved to pieces. That being said, Kong toys for dogs (to use as food puzzles) and cardboard scratching posts for cats (that fit inside a kennel) can provide excellent and much-needed enrichment. Of course, there may be other items desperately needed by your local shelter that do not fit into any of the above categories. Some shelters will have requests on their website, Facebook page, or on an Amazon wishlist. So look around and become the most awesome in-kind donor of them all! At the end of the day, animal shelters can’t survive with donations, both monetary and physical. Not everyone can give tons of money, and that’s absolutely okay. But you’d be surprised how needed that one bottle of hand sanitizer you bought on clearance can be, or those gifted towels you’ve never used. So please, donate what you can. And THANK YOU! Early in the month (Nov. 9 & 10) we had an adoption weekend at La Brea Tar Pits. All NKLA (No-Kill Los Angeles) coalition members were invited to bring cats and dogs (and a couple bunnies) up for adoption. We had groups like Angel City Pit Bulls, Kitten Rescue, Pug Nation, L.A. Animal Services and many, many more. It was a huge event—Best Friends alone brought about 60 cats and even more dogs. 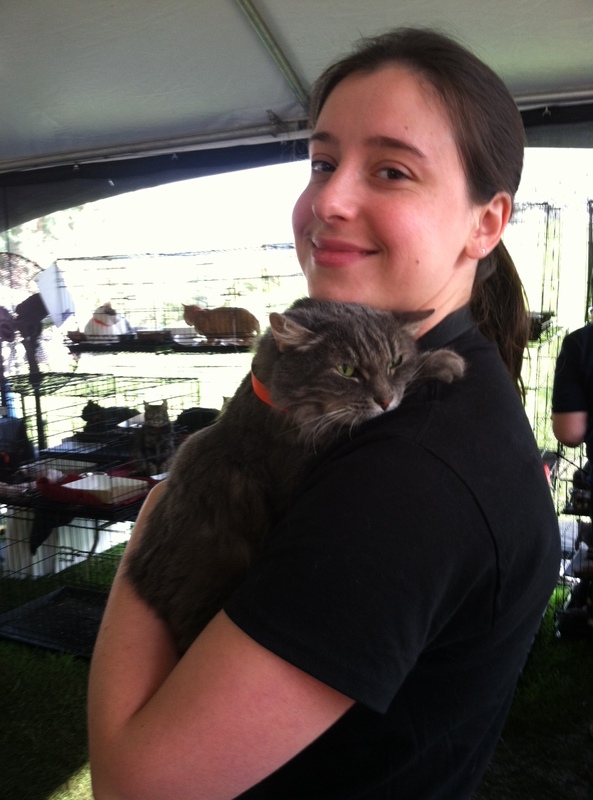 I worked all weekend in the cat tent helping with adoptions. We (Best Friends) adopted out about 45 kittens and senior black cat Sabrina found a home! My proudest adoption was of two adult cats Haio and Harry, who had been living in our free roam room for a few months. They were both large white & tabby male cats, were both aged at about four years old, and both super chill (but weren’t related, even though they looked like they could be). For whatever reason, they kept being overlooked at our center. But that weekend I sent them home together! Now they live in a good home and have each other for company. NKLA Adoption Weekend was exhausting, but very rewarding. The two-day event sent home almost 400 animals in total. The best part, though, was that L.A. Animal Services (comprised of six L.A. city shelters) went back with empty trucks! 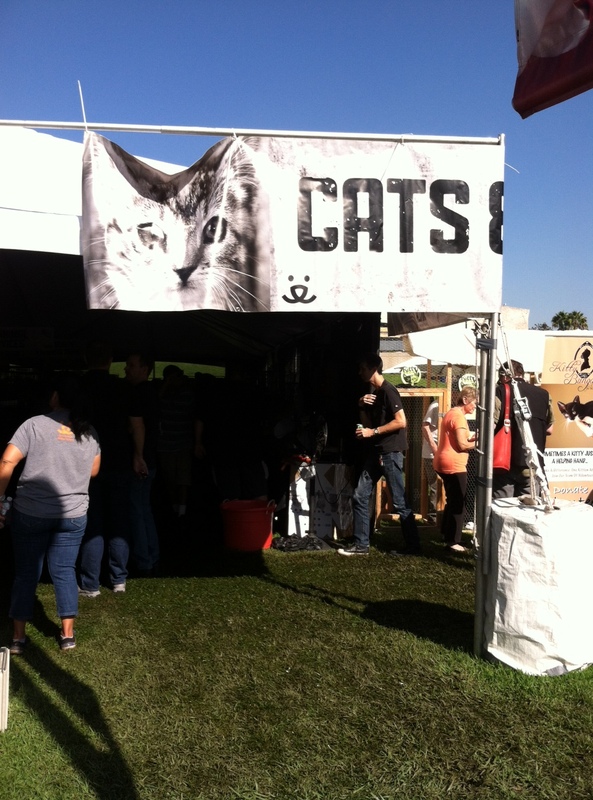 In the cat tent, they adopted out all but six of their cats (most of which were adults). Out of those six, four went back with rescues, and Best Friends took home two, which means all of their cats were saved from possible euthanasia. What I learned from such a large event is that it doesn’t matter so much where people adopt their animals from (a small rescue, a large shelter, a no-kill), just that they adopt! I’ve mentioned Dahlila in a previous post and since then, she was transferred to our NKLA Adoption Center in West Los Angeles. However, she hadn’t been adopted out there was returned a few weeks ago because it was discovered that she needed a dental done (including a tooth extraction). While it was bitter-sweet to see her returned to our center, I was happy to keep her company once more. She did come with us to the NKLA Adoption Weekend but had no interested parties. As we were closing up on the last day, what seemed like a very good match for her walked into the tent! But unfortunately, they hadn’t been anticipating adopting a cat and we had been closing up shop for a good 20 minutes. So even though I gave them mine and Dahlila’s info, they never followed up. So Dahlila is still with us. The lead cat caregiver says (jokingly) that I’ve ruined Dahlila. Because since giving her so much cuddly attention, she now meows non-stop when someone is standing outside her cage (or when the cat caregiver is sitting at her desk)! But what comes out of all of this, is that I think I’ve convinced everyone what an amazing cuddly cat she is despite her grumpy-sounding exterior. And now that she has had her dental and is completely healthy, I’m sure a new home is just around the corner. In the meantime, more cuddles for me. I’m definitely a cat person. I like dogs, but even after my love affair with a chihuahua named Mr. Ed, I’m definitely still a cat person. I used to say that chihuahuas weren’t even dogs (because of their size and yappiness). 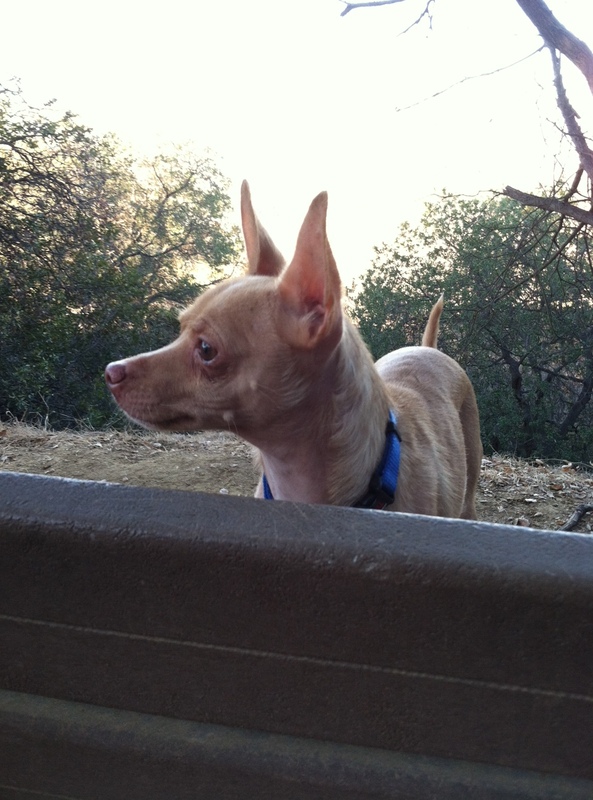 But in California, the shelters are knee-deep in chihuahuas and it’s given me a new perspective on the breed. For one, they can be really great dogs. Mr. Ed has been at the shelter since before I started working there. He didn’t get a lot of looks in general, because he’s a middle-aged tan chihuahua. (There are dozens of them, so it’s hard to stand out.) He goes on a lot of mobile adoption events, but still hasn’t been taken. So I decided to do a sleepover with him at my apartment. Mr. Ed is a great dog. He is very warm and loves to cuddle. I think he’s part chihuahua, part Mexican hairless, because his whole underside is completely bare. He sleeps under the covers at night. He is pretty quiet, and only barks if someone walks outside the window. His only flaw is that even though he knows he shouldn’t pee inside, he has a small chihuahua bladder and has to go every three hours during the daytime. When he needs to pee, he has to pee; he can’t hold it very well. The one time he had an accident in my apartment (and the one time he peed in my car), he tried to cover it up (by drinking his pee), which means someone must have scolded him in the past. But someone who could pee pad train him, or has a doggie door for him to go outside, wouldn’t have a problem. But I don’t have the ability to own a dog right now, and my cats get very jealous. I’ve learned that dogs, even super easy ones like Mr. Ed take up a lot of attention, which I normally give to my cats. And I don’t want to spoil my cats any less. Even though I only took Mr. Ed home twice, he’s now a bit clingy towards me. So I know I can’t bring him home again since I can’t adopt him. It wouldn’t be fair (on him or my cats). 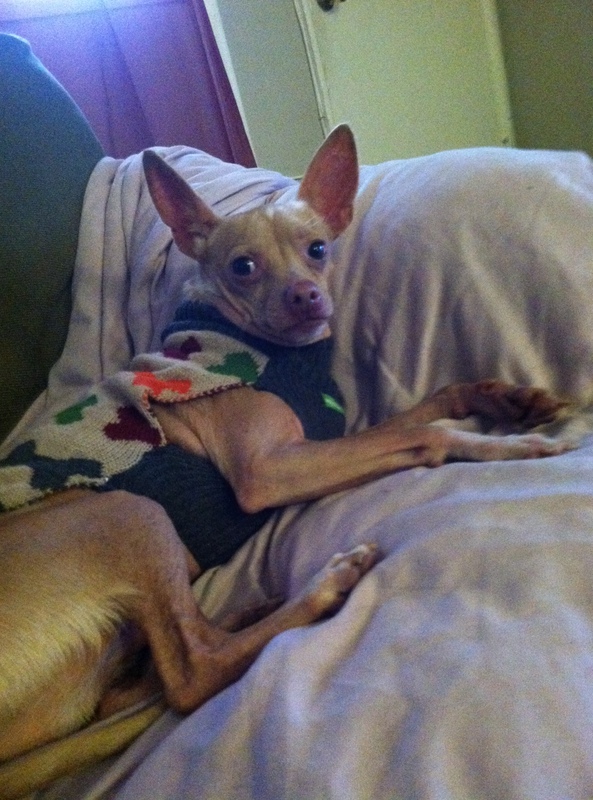 But at least now I can tell any potential adopters everything they might want to know about Mr. Ed the chihuahua. And hopefully he will find a home soon! Anyone who reads my blog regularly knows that I’m a huge advocate for adult and senior cats. 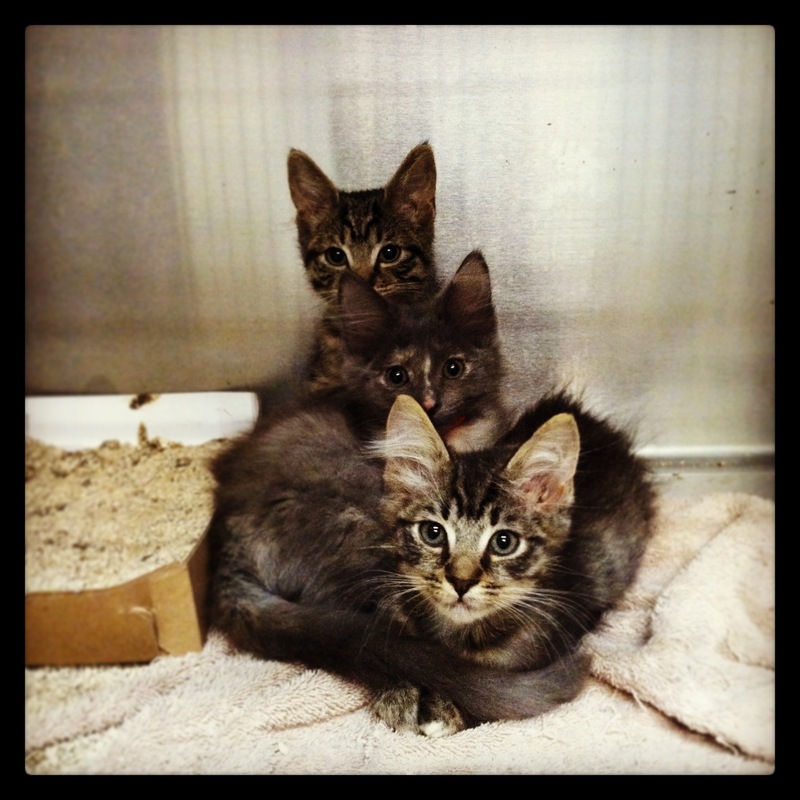 Not only are they amazing, loving animals, but it takes longer for them to get adopted than younger cats and kittens. It can be especially frustrating sometimes at my shelter, because we are in Southern California where kitten season basically never ends (cats breed year-round in this climate), and because my shelter (fortunately) has a kitten nursery where we can raise fragile bottle babies and under-aged kittens. It’s an amazing program, but it does mean that we consistently have kittens up for adoption and our adult cats can get overlooked. It’s important to keep in mind, in America’s shelters, cats have it pretty bad overall, but the highest population of euthanized animals is actually under-aged kittens. Most shelters can’t take care of them unless someone is willing to take them home. Best Friends’ nursery program is unique, in that we’ve been able to save around 1,800 kittens this year alone that would have otherwise died. So I’m now a little more forgiving of people who come into the shelter and decide on a kitten instead of an adult cat. 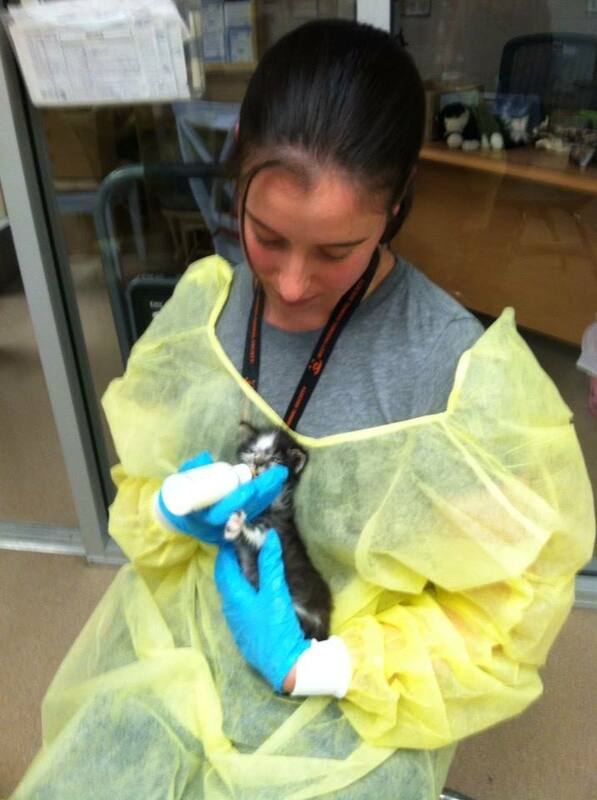 Saving kittens is a huge part of becoming a no-kill shelter/city/nation. Being such a large facility, everything is on a much bigger scale. Which also means that long-term residents are generally much longer than at the smaller shelters/rescues. A couple of our cats had been with us for almost a year and a half, waiting for their new homes. (Some still are.) And while a couple of these cats are special needs, many of them are perfectly good cats that just get looked over for no good reason. It’s important to pay extra attention to these cats and give them good socialization, in order to make them present better to adopters. It’s also important to find new ways to market the cats and have them stand out among the others. A couple weeks ago, I was talking with our lead cat caregiver, who had the idea to create stories for the longer-term cats (which they don’t do for all of their cats because of the sheer number and quick adoption rates for some of them). Apparently the shelter has done stories in the past, but not recently. Knowing that the cat caregiver didn’t have time to make the stories herself, I took the initiative. I showed her a mock-up, and with her approval, made stories for our top five longest-term resident felines. In the month of November, two of those cats were adopted: 8-year-old Mr. Big (who was adopted a year to the day of his being at Best Friends) and 3-year-old Killean (who had spent about half her life with us). 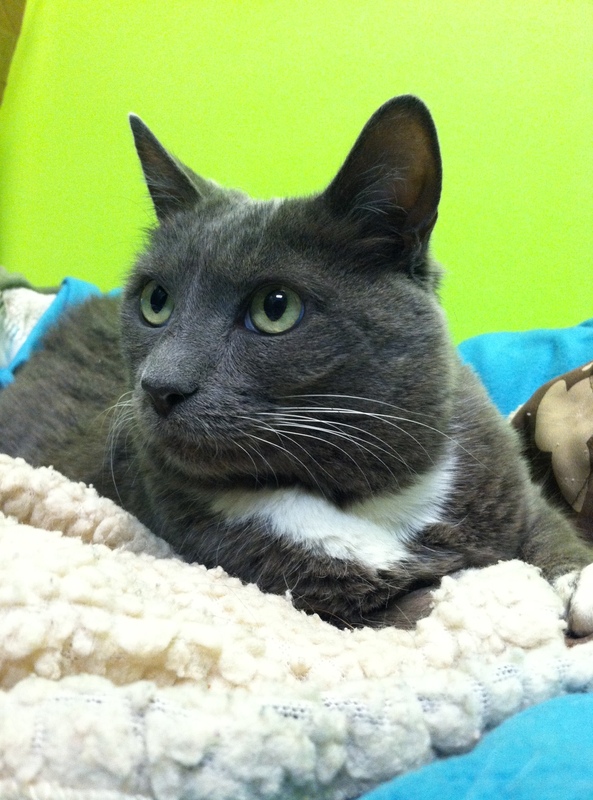 We also adopted out an extremely overweight lady, Tabitha, who was in the top fifteen for longest residents. That same weekend, we adopted out a very sweet cat, Inti, who had come to us with bad ulcers in her eyes, that we treated over several months. Her medical past made her harder to adopt out, but she, like all of these cats, found truly amazing homes. I don’t know if my stories made any difference, but it was extremely rewarding to be part of helping those kitties find homes. And even if any of these cats are returned to us, at least they will have had a chance to get away from the shelter. But hopefully they will have their new homes forever! November was my fourth month working at Best Friends, and the experiences and knowledge I have gained over that time is staggering. I was happy and comfortable in Boston and had my crazy cat ladies and all of my friends, but taking the leap and moving to Los Angeles was a great choice, and one that I’m very happy with. I know I can make a difference out here, even if it’s one cat at a time, or even one little chihuahua. And that is something I am thankful for.